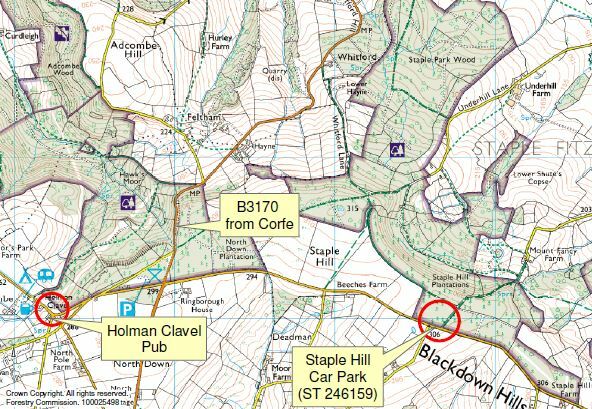 Here, we have compiled some short and easy routes around the Blackdown Hills AONB. These routes are not too strenuous and good if you have limited mobility or you trying to improve your level of fitness. Our thanks to the group Green Days Day Care in Wellington who have been trying out some of these routes, giving us feedback and helping us write the descriptions. We're looking to add more easy routes to the website. So if you have any suggestions of routes that have worked well for you, please feel free email blackdownhills@devon.gov.uk.